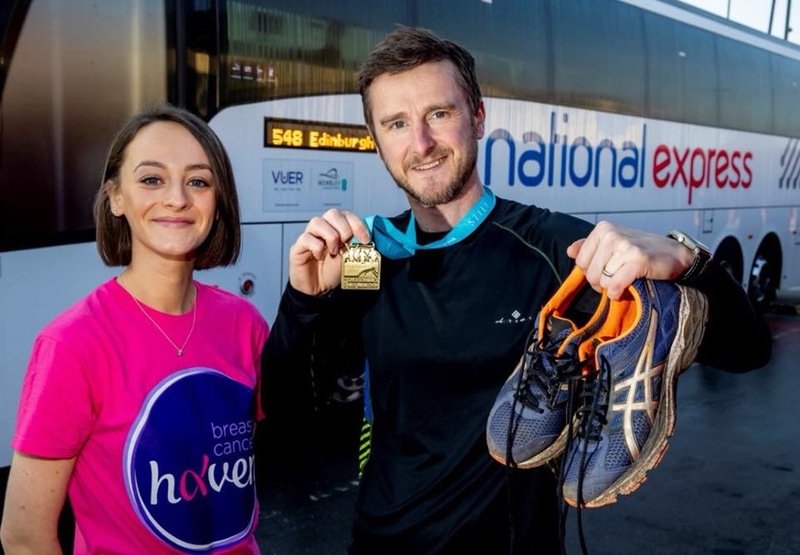 A runner has received a £250 boost to his fundraising efforts for a local cancer charity thanks to National Express. The UK’s largest coach operator has supported the fundraising efforts of senior manager, Mark Hollis, who ran the Cheltenham Half Marathon for Solihull-based Breast Cancer Haven, after hearing of his close friend’s battle with the disease. Mark, Head of Operations at National Express’ Birmingham head office, submitted an application for the extra funding from the company’s employee charity panel in a bid to maximise his fundraising. “I was devastated to find out that someone so close to me had breast cancer. Kate became aware of her local Breast Cancer Haven drop-in clinic as part of her treatment and I have seen how magnificently they have supported people locally through tough times, so I decided to raise money to help them help others.